When a woman is expecting, people close to her go on a shopping spree to buy all sorts of gifts for the little bundle of joy that is gradually making its way into the world. Even her own relatives focus more on getting things that can be of use for the baby. This can make the expecting mother feel a bit neglected and consequently depressed. Women become extremely emotional during the later stages of pregnancy, which is why you can expect the expecting mom to actually become sad and even short-tempered despite being at the verge of experiencing the great joy in the world. Therefore, do not neglect her and buy her a gift, or gifts, to show her that you care. The first thing you should really do before going out to buy a gift for an expecting mom is to talk to her and ask her about her interests. You can either choose to remain subtle while extracting information regarding her interests out of her, or you can simply ask her bluntly if there is something that she really wants under the circumstances. She may not be willing to ask for anything at first, but a little bit of convincing on your part may eventually get her to speak up. Keeping the information that you extracted or received from the expecting mother in mind, make a list of things that you can get for her. Making a list of things will allow you to properly assess the value and utility of the gift and therefore make it possible for you to make a better choice. 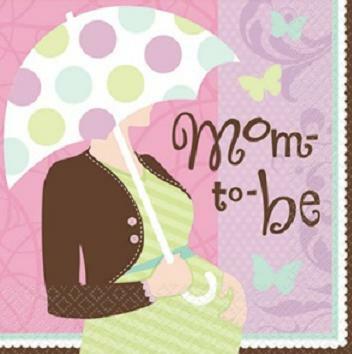 There is a variety of things that you can choose from to give as a gift to an expecting mom. These things range from a book on pregnancy or baby, which the expecting mother will indeed find very useful considering her current condition and the little bundle of joy that she is about to give birth to. You can also consider getting her a voucher for a spa massage, a personal care set, a maternity pillow, a capture to capture memories, etc. Short-list the items that you feel make the perfect gift for the expecting mom. If the list includes expensive items, then you will find yourself short-listing and eventually selecting only one or two items. However, if the items are relatively cheap and you have enough funds, you can finalise more than one item. Head out to the market and buy them items that you have decided to gift an expecting mom. Remember to get the items packed in wrapping paper and stick a small card on them.